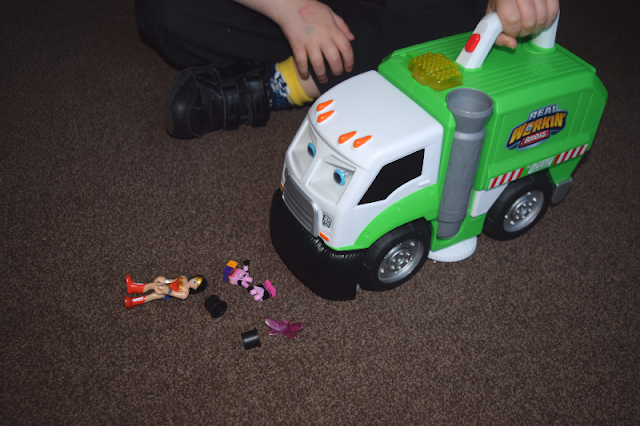 It is quite funny really as you don't usually encourage your children to make a mess on the floor with small toys. In fact, I am forever telling them off for just that. For research purposes though we have been spreading lego and other small toys across the floor to see how well Mr Dusty copes with picking up the mess. The kids have had so much fun doing this. Zach is more impressed than anyone else, he has played with him daily in the few weeks we have had it. 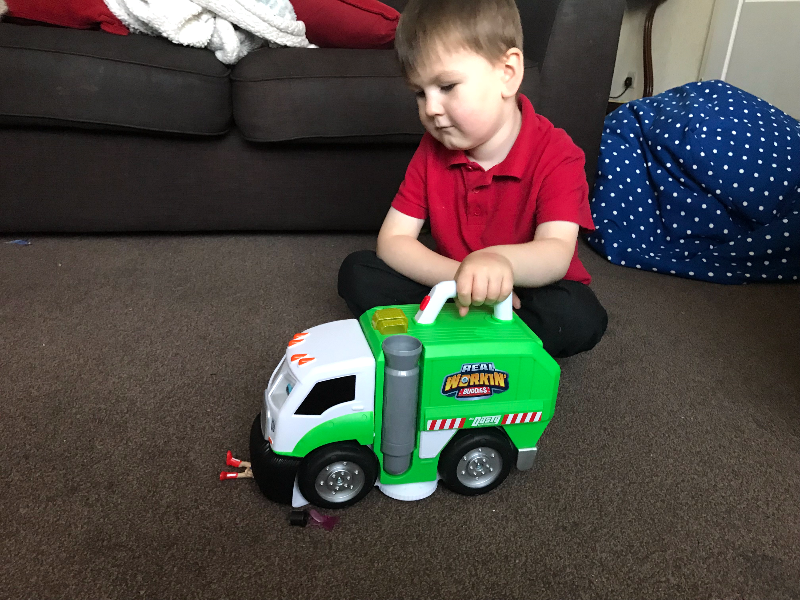 Mr Dusty is actually very effective and we have all been impressed with his ability to hoover up the small pieces. The larger the pieces are, the more difficult it makes it to pick them up which is to be expected. Although I must say, before trying it out ourselves, I probably wouldn't have considered buying this toy but I have been very pleasantly surprised by how entertaining the children have found it. The only downside for me is that it doesn't move by itself. It would be really cool to have an on/off button that makes Mr Dusty move in a straight line on his own, so that you just set him in the right direction, then you could see how much he can pick up on his own. Not that the kids have had any issues with doing it themselves. They have really enjoyed testing out what will and won't be sucked up. The sound effects are good and easy to use and it is nice and easy to open him back up to empty out all of the pieces he has picked up. If only I could get a giant one big enough to tidy the children's bedrooms with one sweep! Mr Dusty will make a brilliant gift for children this Christmas and is available from most toy retailers!